In a recent interview with Vietnam News Agency in Geneva, WEF Managing Director Philipp Rosler said that the deal aims to build a trusting partnership with Vietnam in information exchange, while supporting the country on the threshold of the fourth industrial revolution. Activities include providing training courses on the fourth industrial revolution as well as challenges and opportunities for Vietnam, he said, adding that as many as 2,000 people could access the courses each year. Rosler showed optimism on future cooperation prospects between the forum and Vietnam amidst the sound bilateral partnership, especially in agriculture with about 20 WEF partner enterprises supporting Vietnam in shaping strategies for high technology farm produce development. The new cooperation mechanism that the forum hopes to share with Vietnam is a comprehensive partnership covering a wide range from industry, agriculture, infrastructure, trade, IT, services to climate change, immigration and economic security. The mechanism is borderless, he said, adding that WEF global activities will provide Vietnam with access to WEF resources. 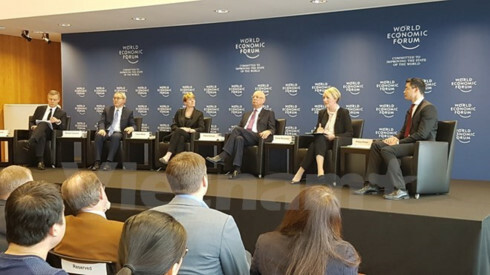 WEF wishes to approach the cooperation model with Vietnam in two aspects: shaping strategies through sending academic scholars to help Vietnam build management strategies and planning to adapt to the fourth industrial revolution and supporting Vietnam in working with world leading groups and enterprises that share or will set up partnerships with WEF, said Rosler. At the WEF for ASEAN region in May this year in Cambodia, the forum will hold working sessions with Vietnamese officials to discuss the PPP deal. Prime Minister Nguyen Xuan Phuc is scheduled to attend the event. Every year, the WEF gathers about 3,000 delegates to the Davos Forum, the largest economic forum in Europe. WEF has a partnership network grouping thousands of enterprises, groups and research institutes in all fields. If Vietnam successfully builds a partnership with the WEF, the country will enhance its position and role in the world by directly engaging in building global rules. Many economists said that the PPP deal between Vietnam and the WEF is a great chance for Vietnam to send its officials to WEF to learn from WEF experts for national sustainable growth, while contributing to world efforts in strengthening economic development.